Attention jazz lovers! One of the most famous and important festivals of its’ kind in the world is here and as always, it will be nothing but the best! Yes, you got me, I am talking about the Voll-Damm International Jazz Festival. More powerful than ever, it is the perfect place and time to appreciate the widely recognized artists as well as for the new ones to emerge. Taking place (almost) every year since 1966, Voll-Damm International Jazz Festival comes back this year celebrating its’ 50th-anniversary edition! The festival officially starts on the 26th of October and will linger on until the 21st of December. Even though the end of October is when the concerts start taking place, you can dive into the jazz festival much earlier, as the program sure has plenty to offer. 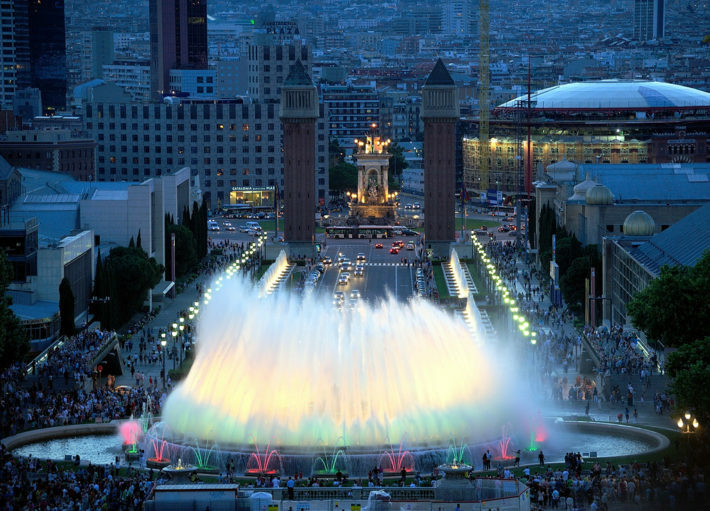 The Magic Fountain of Montjuïc is famous for putting up a show of lights, music and dance. Thanks to the International Jazz Festival, every Friday from the 5th of October it will move to some lovely jazz tunes. Having so many districts, Barcelona definitely knows how to celebrate it – various free events take place in each district from 5th of October, and no surprise, jazzy ones are there as well. Many conferences, competitions, master classes of the art, meetings with the artists and various other activities await you this year. The whole program can be found here. The International Jazz festival will definitely take over Barcelona in more than 15 venues all over the city, from luxurious theater and concert halls to restaurants, arenas and clubs. Find the list of venues and concerts taking place in each of them here. Coming to Barcelona for the festival? 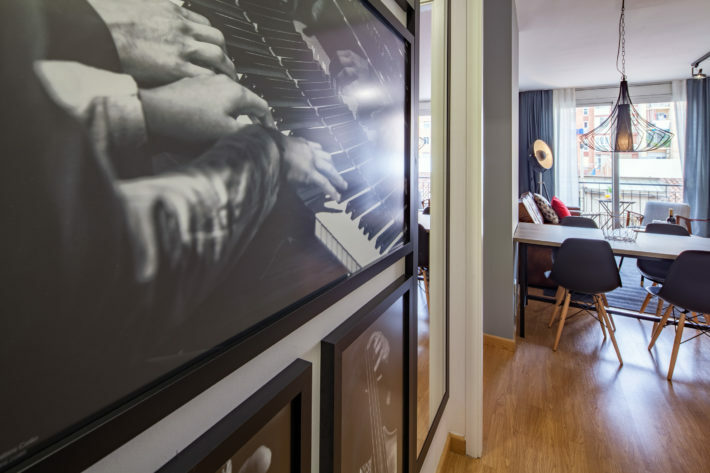 We offer charming apartments decorated in cool and hot jazz theme! Check the full list here and enjoy a good night’s sleep after a jazzy night out!